Quote any of our services NOW ! An equipment against fire, properly installed and maintained radically reduces the risk of loss of life and/or total loss of the property, contributing to the resilience of the operation. Call us warmly advise in a better plan for his new equipment, maintenance or training of personnel. It is a service of Luzesa that provides security and protects both staff and infrastructure, preventing fire accidents from happening to a critical or uncontrollable level. 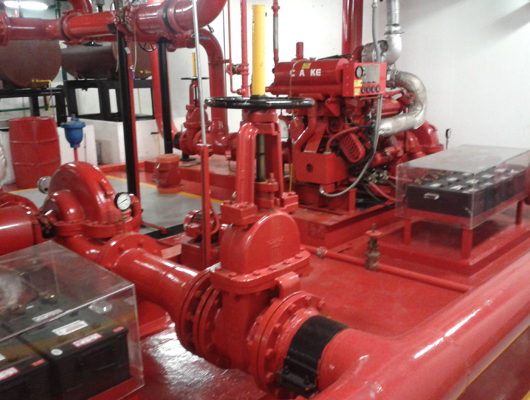 Fire pumps are installed at the bottom of a building allowing easy access to the Siamese outlet for such catastrophes. Water is the main actor for these incidents, the fire pump directs the water under pressure to expedite the transfer of the same to any area that suffers a fire. Through an independent diesel engine or electrical function belonging to the building, the pump starts its activity. Our experts give you advice on the proper installation required. Also advise you on the time you have to control a fire according to the type of tank you have. We offer installation and maintenance of water based pumping equipment, according to NFPA 20 NFPA20 and NFPA 25 NFPA25, consulting, maintenance, training, testing, etc. You have a fire fighting equipment in optimum operation enhances the results of your investment, not only preemptively, but in the field of action in case of fire. 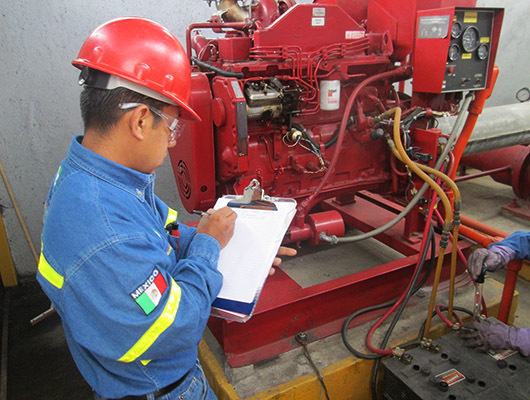 The purpose of preventive services and fire systems maintenance consists of check the status that is operating the equipment in order to provide you with the certainty that the system is fulfilling its purpose. The verification of the condition of the system begins a process of fault detection through a thorough cleaning, normally the equipments are composed of two or three types of systems, pump jockey (pressure maintaining), pump with electric motor or pump with Diesel engine. Based on the analysis of retrieved is the path of action according to the case, which includes the revision, change, cleaning, drainage and/or adjust. 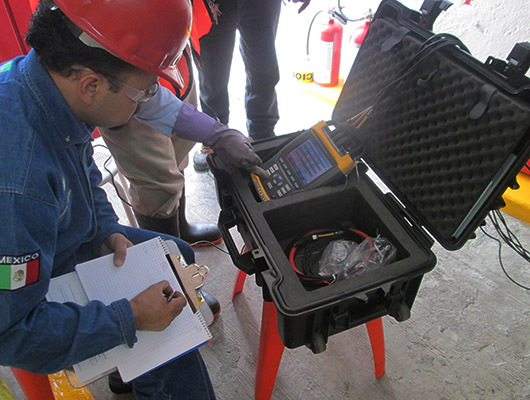 Within the report obtained thanks to the thorough exploration of the equipment proceed to cleaning, testing, verification and maintenance of the devices involved. Having familiar staff with civil defence equipment human capital increases and decreases the risk of disasters caused by fire. We have experts in the operation and use of fire pumps, engaged in the operation and action of the equipments training. As a company committed to safety and the preservation of the safety regulations, we are entitled to provide physical services, which will add value to the acquisition and maintenance of equipment, showing and ensuring the right to operate them. 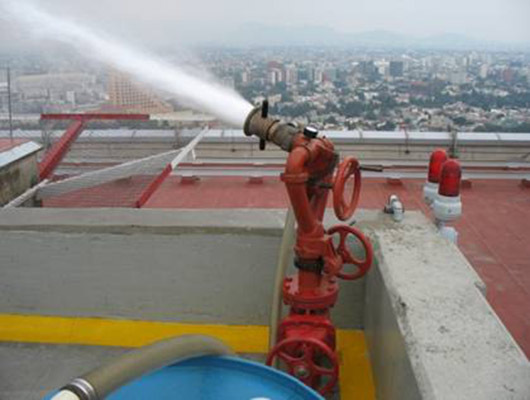 In Mexico there is not a formalized culture that promotes doing mandatory safety standards in fire prevention pro. In countries such as United States mandatory regulations has reduced costs in damage, deaths caused by fires and response by the responsible departments. An organization known by its acronym NFPA (national fire protection association) has emerged in the United States and generated a couple of rules that consist of proper operation of the waterbased fire-fighting equipment. We have certified engineers that can ensure the inspection, testing and maintenance of fire protection systems, ensuring optimal performance of your equipment and the receipt of capital constituting.